The InterContinental Sydney Double Bay is an exclusive 5-star retreat in the Eastern Suburbs village of Double Bay. 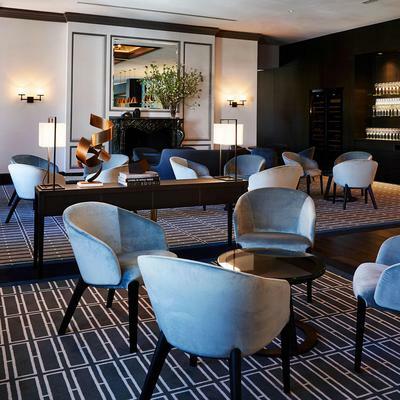 Bates Smart was appointed by Royal Hotels Australia to revitalise the interior of the former Ritz Carlton hotel. The refurbishment was sensitive to the regency styling of the hotel’s architecture with many of the interior’s original features retained. 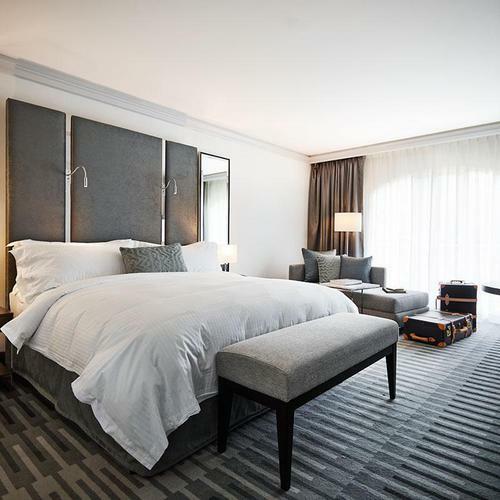 The 144 guestrooms received a classical design treatment to create a feel of luxurious living rather than corporate hotel. The result, hotel styling that radiates contemporary casual elegance and glamour. 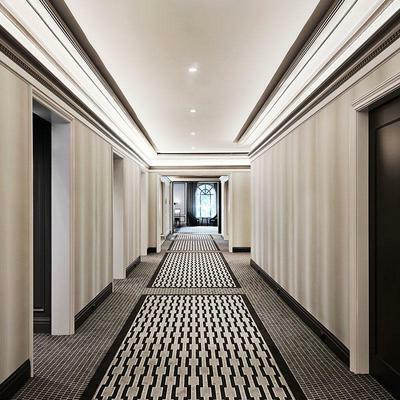 Brintons worked together with Bates Smart to create a collection of striking woven Axminster carpets for the hotel’s common areas, function and dining rooms, corridors and guestrooms in addition to a sumptuous handtufted carpet for the Grand Staircase. The carpet designs were conceptualised by Bates Smart and transformed by Brintons designers into a workable solution for the floor. This involved extensive colour work (custom colour development and dyeing) and design engineering, to make the patterns work within each different room type, achieve perfect colour balance and ensure effortless gradation of colour from wall to wall.